Stop in and tell the other members about yourself. See who's here, You might find an old friend! You should also check out the members list. Too bad you live so far away now -- I'd love to see that guitar. I've never seen a Time acoustic in person. I think I went to high school with your daughter, Deb. Tell her I say hi for me. Yes, a few hundred people do read this forum every month. I remember your guitar well. Alan & I had quite the time getting the 'SATIN' refinishing just right. At times it was more Satan and less satin! It's the only Time with a satin finish. It was originally built in Waltham. You'd be interested to know that SollyDad on this forum most likely built your guitar. The refinish was done at the barn in South Burlington. The Fleming 1991 brochure is here. 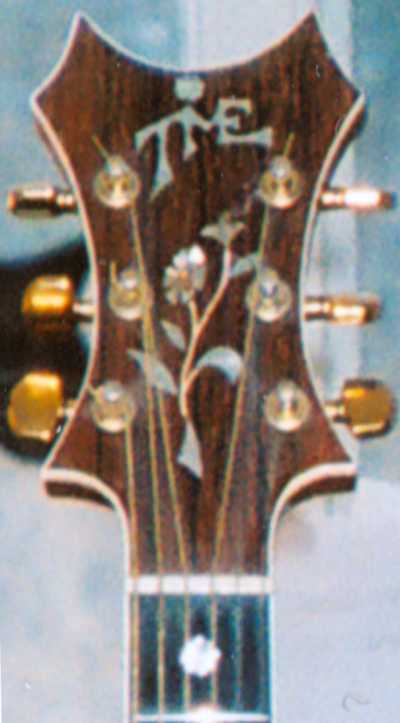 This picture and the Fleming picture are the ONLY KNOWN PHOTOS of a Time acoustic. Steve, if you are so inclined, please post some pictures. It has been estimated that there are about 60 Time acoustics in the wild. No one has ever sold one so we don't have any idea on the value. I know I would buy one over a post war D-18 any day. Of course, I have a bias! 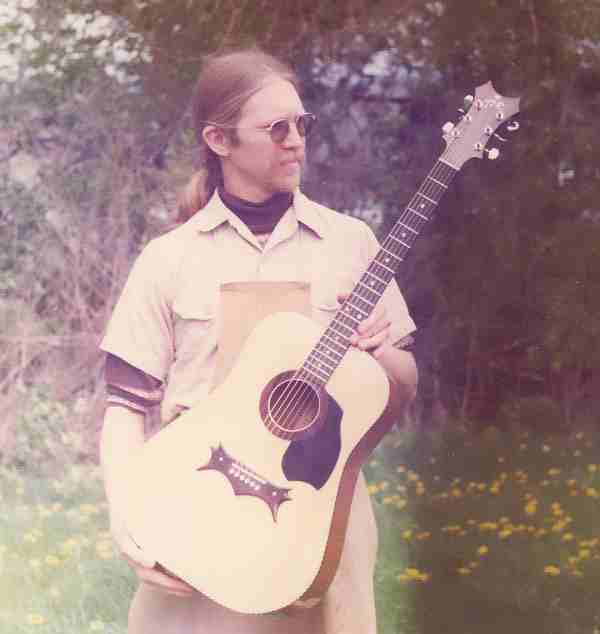 Casey on this forum may also have an acoustic from his Road Apple days. So, please post. I would hope it that prompts other owners to post also. SteveP has sent me photos to post. Please find them here. I used to live in Lansing and frequented Elderly. I took my PrimeTime in for an appraisal (for insurance purposes), and they offered to buy the guitar for $125. They said I could insure it for roughly $250. They might be completely unable to assess the value of your Time simply because of its rarity. So, although I am a huge fan of Elderly, I want to forewarn you that you may be in for a surprise if you take the guitar in. Their estimate may not reflect the true value of the instrument.